A number of companies have not moved away from the previous practice of using spreadsheets to manage supply chain activities. What results from this practice is a sluggish, tiresome and error-ridden process that opens up to many risks along the way. As spreadsheets rely on manual entry of data, there is always room for something that could go amiss. By implementing ERP systems, one can avoid all these risks and use existing labor for more productive tasks. ERP can help companies to manage inventories, file orders, track deliveries and provide vital information about stockpiles. In fact, ERP is known to have a positive correlation with increased cash flow and sales. In this article, let us take a look at 5 important ways in which ERP helps you to streamline your supply chain management. 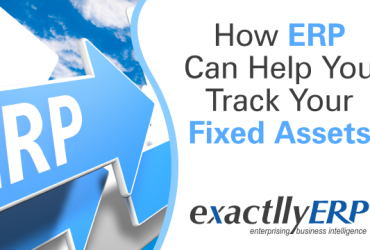 An ERP helps you to manage your inventories sans errors. Errors in inventory management could prove to very costly, as customers rarely have the patience and easily move on to the next retailer if something goes wrong. ERP ensures that everything is centrally managed and you can easily compare costs and find a back-up supplier if something goes wrong. You can maintain the quality of your products by using raw materials and spares only from authorized suppliers. You can make use of certain industry standard supplier lists which will ensure that you have access to the best materials in the market. This way, your customers and clients will not be disappointed with low quality products. After all, there is nothing more important than maintaining quality and ERP helps you to do that. ERP is a software that particularly is useful to track shipping related information. You will be able to track exactly where a package is, right from the time it is ordered to the time that it is delivered. ERP also helps you to manage complaints, returns, and lost shipments. This will help you to build a better relationship with your customers, which will eventually help you to grow your business. The key to any retailer's success is timely delivery and only ERP can help you achieve that. An ERP always frees up existing resources. This may include human resources, cash flow or just about anything that is normally used in the supply chain management. 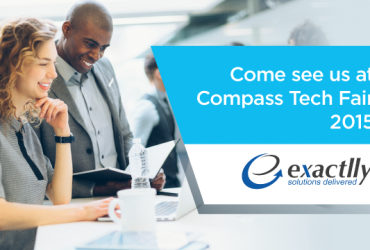 As ERP automates a number of tasks, it frees up your manpower and cash, helping you to focus on your core competencies. This will ensure that your company will become leaner and more productive. An enhancement in productivity is usually seen after a few months of using ERP systems. ERP helps you to remain up to date with respect to taxes, trade rules and customer protection. Consumer protection laws are different in various jurisdictions. ERP helps you to remain compliant to all these varying laws and regulations, without compromising on your productivity. It even helps you to make use of certain laws that facilitate business. A number of companies wade through complex regulations when ERP makes it all easy and automated. ERP is likely to replace spreadsheets in the near future and most companies will realize that it is prudent to automate tasks that can be automated. When companies begin to use ERP even in the supply chain section, they will free up a lot of resources which will invariably lead to a more focused and productive way of functioning. Thus, using ERP helps to streamline supply chain management and in the future, ERP is going to be more of a norm than a choice.